Russia will become a founding member in the China-led $50 billion Asian Infrastructure Investment Bank (AIIB) on April 14, according to the State Council of the People’s Republic of China. At least 44 countries have applied for membership in the AIIB with the rights of founding countries. The initial receipt of applications will be completed on Tuesday, March 31. On March 28 Russia’s First Deputy Prime Minister Igor Shuvalov said Russia has applied to participate in the AIIB as a founding member. Applications to join the AIIB were also submitted by South Korea and a number of leading European economies, including the United Kingdom, France, Germany, Italy, Switzerland and Luxembourg. China's Ministry of Finance welcomed Kyrgyzstan’s application to join AIIB on Tuesday. The country is expected to become a bank member on April 9. Sweden will also apply to join the bank, the country’s finance minister said Monday. Thus, Sweden has become the latest European country to join the institution despite concerns of the US. Meanwhile the Japan has abstained from becoming a founder member in the China-led bank, said Japanese Finance Minister Taro Aso. “We have no other choice but to be very careful about participation [in AIIB – Ed.] 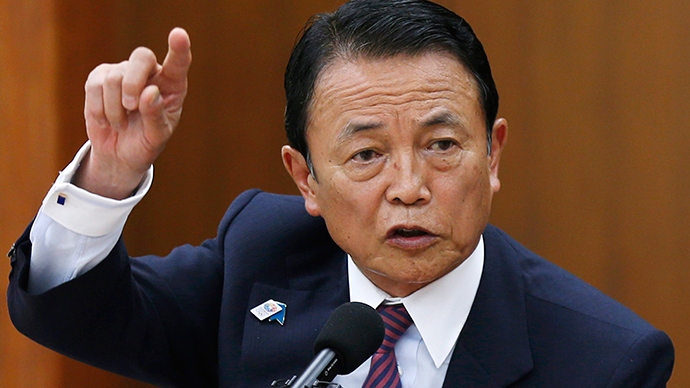 ," Aso said quoted by the Kyodo news agency. Japan insists that the terms of joining AIIB should include the establishment of lending rules with due account for social consequences, as well as ensuring transparency of their issuance in order to avoid corruption, he added. Tokyo also insists on the separate consideration of each of the incoming projects. At the same time Aso didn’t rule out the possibility of the country’s future participation in AIIB, saying that Japan plans to "watch the bank’s development." Taiwan has also announced it would apply for membership despite the animosity and lack of formal diplomatic relations between the island and China. On March 27 Emerging Markets reported that China had rejected North Korea’s application saying there was no way the country could join the AIIB as it cannot provide detailed information about the state of its economy and financial markets. However, the Chinese Ministry of Foreign Affairs said it had no official information North Korea’s was being refused bank membership. The Asian Bank for infrastructure investment (AIIB) was established in 2014 by China. The bank will finance infrastructure projects in the Asia-Pacific Region; its headquarters will be in Beijing. The initial subscribed capital of AIIB will amount to $50 billion and is planned to be increased to $100 billion.